As you all know I do LUV a dress up. If you don’t know this about me … shame on you, remember this information forever! On a side note I think the love for dress up comes from the Wam. We always had amazing costumes whenever there was a dress up party or event and our birthday parties also included dress up fun times. Some of my favourites were the Huckleberry Finn party where everyone got their own pack tied to a stick; winning first prize as a pirate in a Brownie day and winning second prize as a scarecrow in an ice skating competition. Hells yeah Wam! Thanks for shaping my imagination, creativity and LOVE for the dress up! Back to this one … last year you might remember we had fun at Bierfest. This year we had even more fun! When in Langebaan a few months ago for the Hazlette’s birthday we came up with an idea where we wanted to get a group of people dressed as Ninja’s to just rock up some place and then have a drink and disappear … as if this group of sneaky ninja’s never really existed. 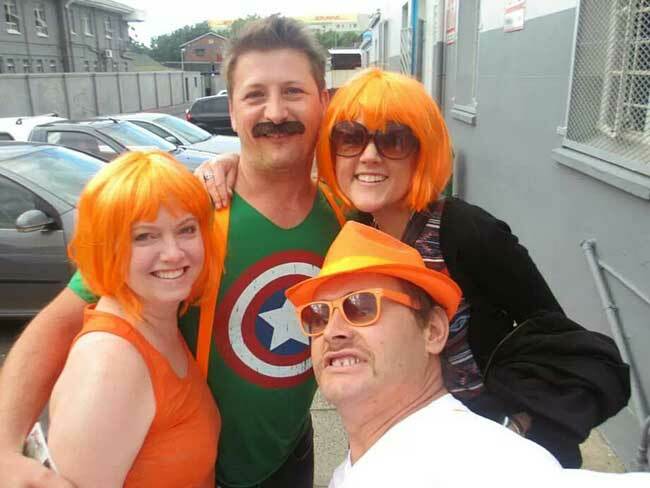 The idea evolved and thanks to Robbo – the original “Ginga Ninja” – we decided Bierfest was the best place to unleash our team of Ginja Ninja’s! Tooooo much fun. KleeB organised the ladies orange wigs and the boys orange braces … we all also received Borat mustaches … which proved to be a little bit difficult to keep on. The team of over 10 of us descended on the Newlands breweries for a fantastic night out. Much oompa music was swayed to, mugs were clanked with a cheer of “prost” and generally a ridiculous amount of fun had by all. I look forward to next years adventure and the next Team Ginja Ninja sneak attack! 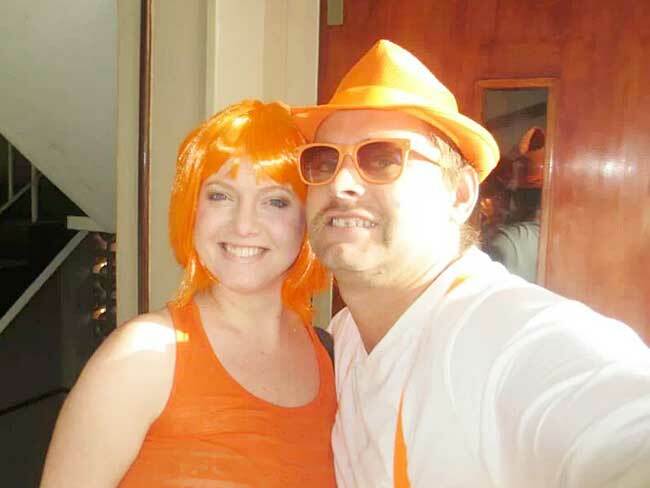 This entry was posted in Play and tagged bierfest, dress up, friends, fun times, fun with friends, ginga ninja, ginger ninja, jol, jolling.